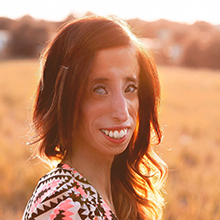 CHICAGO -- Anti-bullying activist Lizzie Velasquez will bring her message of not allowing others to define you, and of turning negativity into a motivating force, to 2016 ALA Midwinter Meeting in Boston as the Arthur Curley lecturer from 4 - 5 p.m. on Saturday, Jan. 9. Velasquez’s appearance at Midwinter Meeting is sponsored by Tugg Educational Films. The Arthur Curley Memorial Lecture series commemorates Arthur Curley’s lifelong dedication to the principles of intellectual freedom and free public access to information. Early bird registration—offering the best rates—is open until noon (Central) Nov. 11. Advance registration is then open through noon (Central) Jan 4, 2016. Annual Conference registration and housing open noon (Central), Jan. 19, 2016.